Today’s war of ideas relies heavily on this type of character assassination to convey its point. The Oxford English Dictionary’s choosing of the adjective “post-truth” as the 2016 “word of the year” couldn’t be more fitting. It denotes a state where verifiable evidence and critical thinking are of less importance than populist feeling and raw emotion. Facts were but a passing fad. 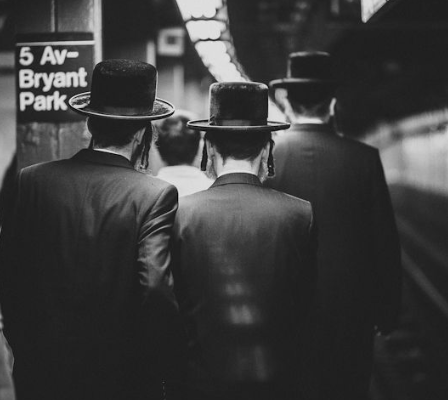 “Ultra-Orthodox” has always been a synonym for “not reliable”, “primitive”, or “extremist”. Honestly, all of these brandings are variations of the same theme. Intellectual cowardice. Those who are unable or, more often, unwilling to consider the arguments of Anti-Zionists thinkers throw out a few code words aimed at discrediting their ideological opponents and voila! The anti-Zionist monster has been vanquished. No need to access one’s own ideological underpinnings, just issue a few school-yard taunts. For a world short on patience, it’s compelling. Social media provides an excellent example. Immediately following a recent True Torah’s Jews video release, we were accused of being “an extreme cult”. In one fell swoop, the commenter had lumped True Torah Jews with the likes of the inhabitants of Jonestown or followers of Aum Shinrikyo. The words “extreme cult” are telling. It’s a solid refuge for those unwilling to consider the opposite. After all, why should he listen to the rantings of an “extreme cult”. Now he can sleep at night. Never mind that traditional Judaism doesn’t qualify as a cult by any definition. I doubt the commenter consciously meant to slur traditional Jewish belief per se, he was most likely simply expressing a long-internalized defense mechanism. When a concept threatens deeply cherished beliefs, denounce it as extreme. For many, Zionism has become an anchoring point for their Jewish identity and its debate has become truly taboo. The current consensus has made reconsidering Zionist ideology “an unthinking object” (Rose, The Question of Zion, 12). Those who do dare to question are relegated to the ranks of the intellectually perverse. The news, though ostensibly objective, frequently refers to Haredim who reject the notion of the Zionist State as contrary to Judaic values as “extremist fundamentalists”. In truth, those who feel the need to resort to the above-mentioned labels are ways for those who feel their Jewishness is under attack to slay monster under the bed. The narrowness of mind that demands such a response cannot fathom the concept of anti-Zionist thinkers. Zionism, like the authoritarianism it modeled itself after, thrives on mental stagnancy. There need not be any sort of analyzation or contemplation, just a technique to give you some manner of peace. That’s Zionism. Playing on Jewish emotions since 1897.